What's in your current workwear rotation? If you're anything like us, you're probably getting a ton of mileage out of chic summer dresses, sophisticated pencil skirts, and refined blouses. (If you work in a more casual setting or participate in Casual Fridays, add in a pair of jeans styled with a trendy top.) Getting dressed can be tricky when you've got steaming-hot temperatures outside and practically arctic AC inside your office, though. So how does one best deal with this? By dressing in layers, of course. It's always wise to bring (or even leave) a light jacket in your workspace. And the same can be said when autumn rolls around, which is why we decided to pull together a collection of fall work outfits that are, in short, spot on. 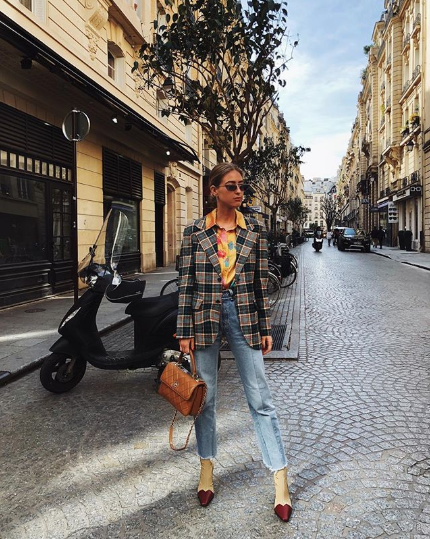 Below, you'll find the best office ensembles to wear when the new, cooler season arrives—think simple, sophisticated, and practical. Available in sizes UK10 to UK16. Available in sizes FR36 to FR38. Next up, check out more great (and simple) work outfits to copy.